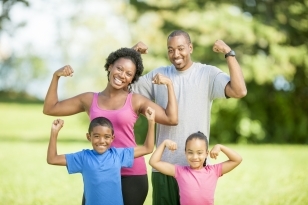 Family Dance Fit is a dance fitness class designed just for families! This program features music and moves that get families movin' to the beat. It's all about feeling fearless on the dance floor, reinforcing the idea that it's okay to just be yourself and dance like no one's watching! Registration is NOT required. Class is FREE to members; $5 a class for non-members. Non-members may pay by credit card online (print and bring receipt for each class) or pay with credit card onsite. Members, please bring your key fob to be scanned.